Are you itching to explore somewhere new, but you don’t want to travel far? Bowditch Point Regional Park encompasses the entire tip of the Estero Island. This quiet park offers the best of Estero Bay and the Gulf. A bayside dock offers easy access to the calm waters of the Great Calusa Blueway Paddling Trail. The Gulf side of the park is typically a bit more active with swimmers and other beach goers, but offers wonderful views of the water and Fort Myers Beach for paddlers. Don’t forget to take advantage of the available amenities such as restrooms, changing rooms, and outdoor showers. Even though it is close to lively Fort Myers Beach, Bowditch Point Park is a designated Great Florida Birding Trail site. 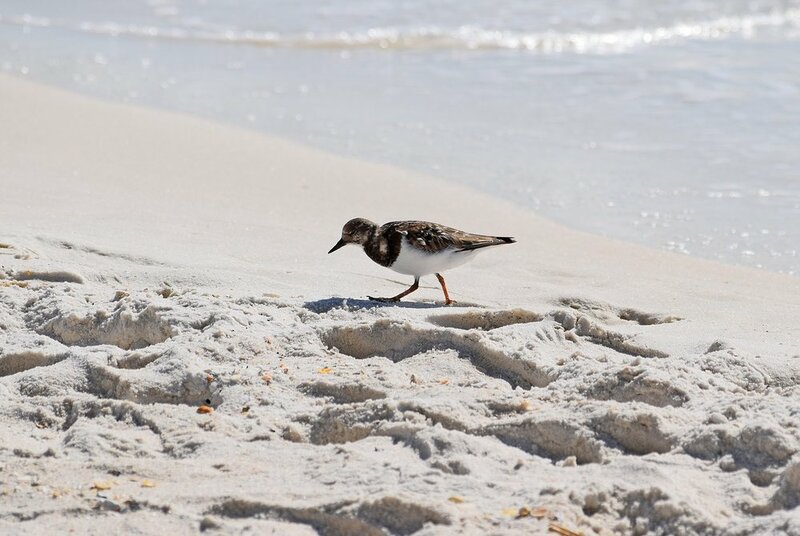 You’re sure to spot a few rare feathered friends both on the shoreline and in the protected area, and paddling is a great way to check some birds off your list without disturbing their natural behavior. Before or after the paddle, take the walking trail through the preserve area for a great opportunity to birdwatch and enjoy impressive panoramic views. Please leave your furry friends at home if you plan to enjoy the beach after your paddle, as dogs are not allowed on shore.